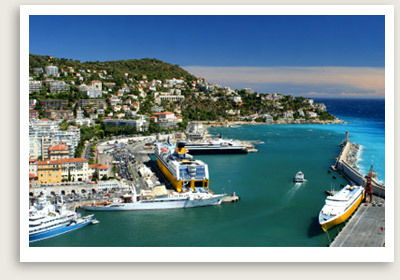 Join one of our upscale women-only small group tours to Paris, Provence and the French Riviera. In Paris, we will stay in what we consider the best neighborhood for the authentic Parisian experience . It is in the heart of an upscale and lively neighborhood filled with fabulous restaurants, lively outdoor cafes and artisan shops for cheeses, chocolates, spices, wine alongside a butcher a vegetable market and numerous boutiques for clothes and shoes. Our time in Paris will include a fun gourmet tour and some time in two of best museums of the world, the Orsay and the Louvre museums. 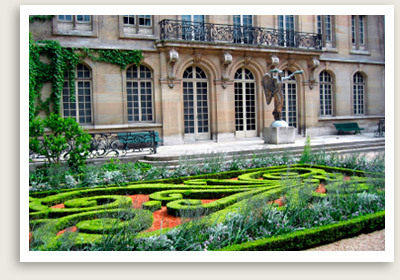 A day trip to Versailles can also be included to see the Palace and garden. We will also explore Paris’ famous Avenue Montaigne for the designer fashion houses and stroll the Tuileries garden. 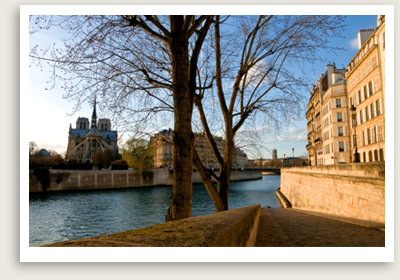 We’ll see the Eiffel tower, beautiful bridges, and the banks along the Seine river. Magnificent and quaint squares, world class museums, incredible architecture of palaces and mansions plus hundreds of shops are there for us to explore. 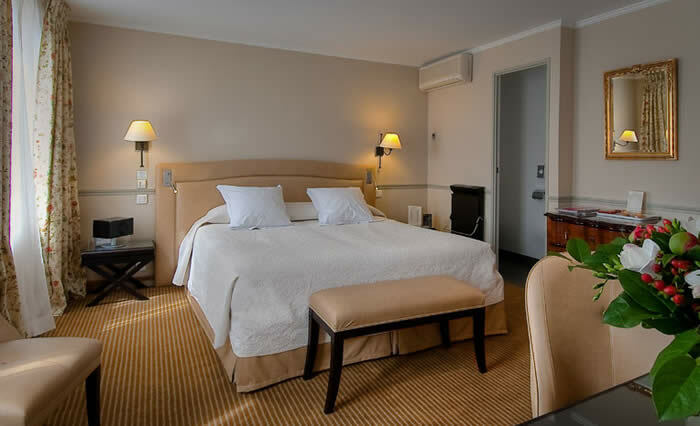 In Provence, we’ll enjoy elegant accommodations in St. Remy with a nice pool where we can choose to relax some afternoons and located close town so you can conveniently explore on your own. We’ll be treated to wonderful dinners in the gardens while at this hotel for 3 nights. On our day tours in Provence, we’ll see and hear about its interesting history and local culture, join the locals at an open market in a town world-famous for antiques, visit a small local artisans to taste to taste their products, and simply enjoy the countryside. Our tour will end in the French Riviera where we will enjoy the hill town of St. Paul and along the coast – Cannes, Nice and Monaco. 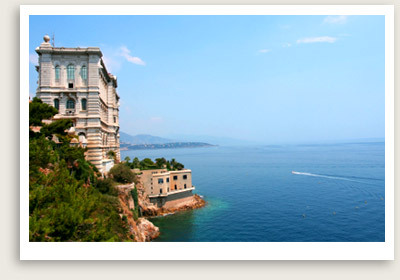 We’ll end the tour appropriately, exploring Monaco and have our Farewell dinner in lively Monte Carlo. 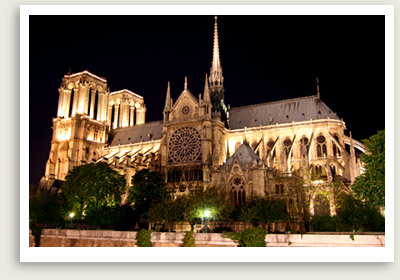 Elegant accommodations – 4 Nights in Paris, 3 nights in St. Remy, 2 nights in Nice. 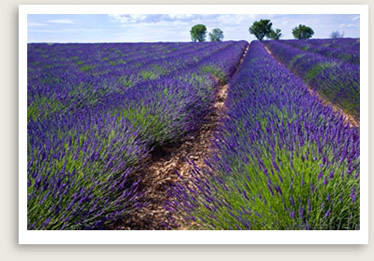 Train ticket from Paris to Avignon in Provence, if joining us is Provence. OUR HOTEL IN PARIS – FOR MORE PHOTOS, SCROLL DOWN. Our driver will be waiting for you at the airport outside the customs area. Check in at the hotel. Tour starts after lunch at 4:00pm. If you arrive early, you may join us for lunch or lunch on your own at any of the cafes by the hotel. Meet us in the hotel lobby at 11:30am, if joining us for lunch. We’ll walk to most famous boulevard in Paris, the Champs Elysees, where you will see the famous Arc de Triomf. On the way, we’ll pass through Avenue Montaigne, where the designer houses are located – Dior, Chanel, Prada, Louis Vuitton. You will also see chic restaurants and bars in the area. We’ll stop for lunch at one of Paris’s top pastry shop/tea salon. A light lunch is fitting as you will surely end this meal with a fabulous treat. Our local expert guide will take us to on a gourmet tour in Paris. We will visit of a farmer’s market and other specialty shops. We’ll taste cheeses, breads, chocolates, foie gras, wine and pastries. We’ll see and hear about historical sites and monuments along the way. A guided tour of the Louvre museum follows. Our guide will have a program that includes a viewing of Venus de Milo sculpture, the Mona Lisa to name just a couple. Louvre tour will end at approximately 3:30pm. The rest of the afternoon is at your leisure. We suggest you walk across the way to Palais Royal, then to Tuileries gardens towards the historic Place de la Concorde. Continue onto Rue Royal towards Place de la Madeleine. You will immediately come across Rue Faubourg St. Honore for some shopping opportunities. Ask us for other suggestions for your free times. You may also return to the hotel to refresh or sit at one of the outdoor cafes conveniently located right outside our hotel. There are other interesting museums like the Jacquemart-Andre, a short distance away. Ask us for other suggestions for your free times and let us know if you want company. Today we’ll explore Paris on foot. This is one of the joys of visiting Paris. From the hotel, we’ll make our way to Musee D’Orsay passing by Les Invalides. We’ll walk to Orsay museum passing by several boutiques in the neighborhood. 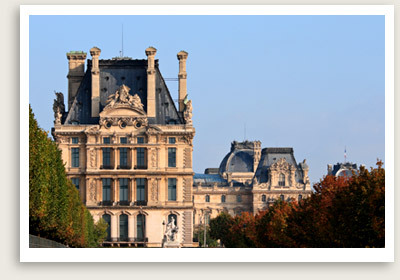 Before reaching Orsay, we’ll walk over to the Tuileries garden from Place de la Concorde. The newly renovated and re-arranged Musee D’Orsay is even more beautiful than ever. It’s a perfect home to some of the greatest collection of early modern and Impressionist art. Renoir, Toulouse-Lautrec, Van Gogh, Gauguin, Degas, Matisse, Sisley, Monet, Vuillard, Cezanne are some of the artists represented in the permanent collection. After our time in Orsay and lunch in a charming and quiet square, we’ll continue our walk that will take us to the Latin Quarter and Paris two natural islands: Ile de la Cite and Ile St. Louis. We will have first class tickets and travel by train to Avignon, once a seat of papacy in the 14th century. Isle-sur-la-Sorgue also hosts antiques’ fairs at Easter and over the August 15th holiday that have given a worldwide reputation to this small city. More than 500 antique dealers and second hand dealers gather here to show their treasures to customers from all over the world. It’s Sunday and today we’ll enjoy one of the most charming markets of Provence stretching along the boulevards lining the Sorgue River. Here you can find all the things that make Provence so special: local herbs, cheeses, cooked food like poulet roti, fresh breads, olive oil, soaps, fabric, antiques and more. Antique lovers and art collectors will be thrilled by the nearly 300 permanent antique dealers and second hand shops here. Our day begins with a visit to the 2,000-year-old city of Arles, where you will explore its ancient Roman monuments. The artist Vincent Van Gogh painted some 300 pieces during the 15 months he lived in Arles, making his stay here Van Gogh’s most productive period. Today we will travel to Nice, our last home base, till the end of this tour. On the way, we’ll have a brief stop in Aix-en-Provence which is famous for its many fountains and Baroque mansions complete with charming squares and elegant shops. We’ll have some time to explore and have lunch before we continue onto French Riviera. On our way to Nice, our final destination, we’ll also have a brief stop in Cannes, which has been the site of the yearly Cannes film festival. Our day trip today takes us to St. Paul, still encircled by a medieval wall. We will explore its narrow streets, its historical fountain and towers, artisan shops, boutiques, art galleries, 14th century wine cellar to taste the local wine and more. You will have time to explore on your own. Leisure afternoon in Nice. On your leisure time, consider visiting Matisse museum, located in a 17th century Italian house. Here you will view Matisse’s personal collection. Matisse lived in Nice for nearly 40 years; the paintings, drawings and engravings housed here represent the breadth of his work. 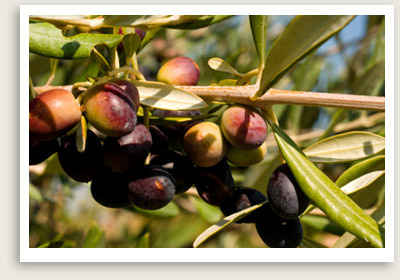 NOTE: Ask us about the following women’s small group tour to Tuscany and the Amalfi Coast.